You can find Planets like these pretty often. 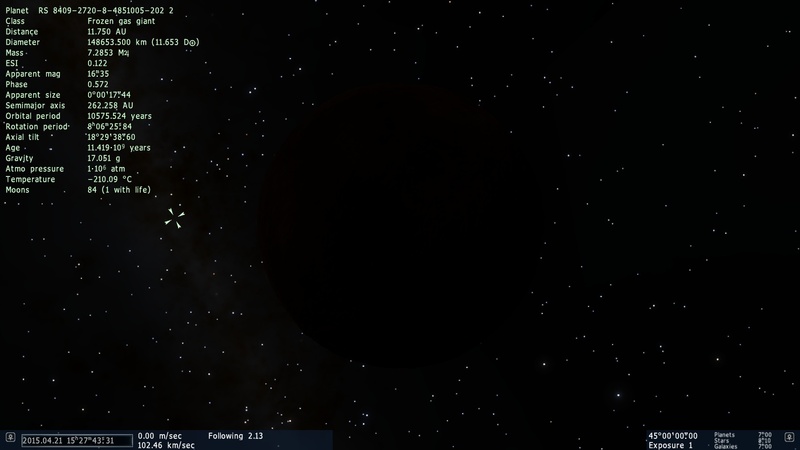 The strangest Thing here is probably the Fact that some Moons orbit the Planet in more than 0.2 AU distance. so that many moons is normal but the moons orbiting further than 0.2 au distance arent normal and probably a bug? ElectricalEel, Moons in that Distance are probably a Thing in the real Universe, but rare. EDIT: Jesus, why are there so many Gas Giants with Moons that orbit them THAT far away? ElectricalEel, It's even more comical when you think about this: You have a Gas Giant with a "meh" Gravity and then you find a Moon that orbits the Planet in 11 Times the Distance of Earth to the Sun. How is that possible? Gravity? Aliens? Illuminati? Half Life 3? It's ridiculous! To the Moon-Collisions: Well, since they orbit the Planet in THAT Distance, they are probably a few Million Kilometers away from each other, so I doubt that they collide so easy with each other. How is that possible? Gravity? Aliens? Illuminati? Half Life 3? It's ridiculous! The mass of a planet isn't the only factor that influences the size of its Hill-sphere (the distance a moon can orbit it). Its distance to its sun is also very relevant; the farther away the sun, the larger an area is dominated by the planet's gravity. As a result, it's Neptune which has the furthest moon in our Solar System, not Jupiter (Neso, which reaches a distance of half a AU from Neptune and takes 27 years to orbit). 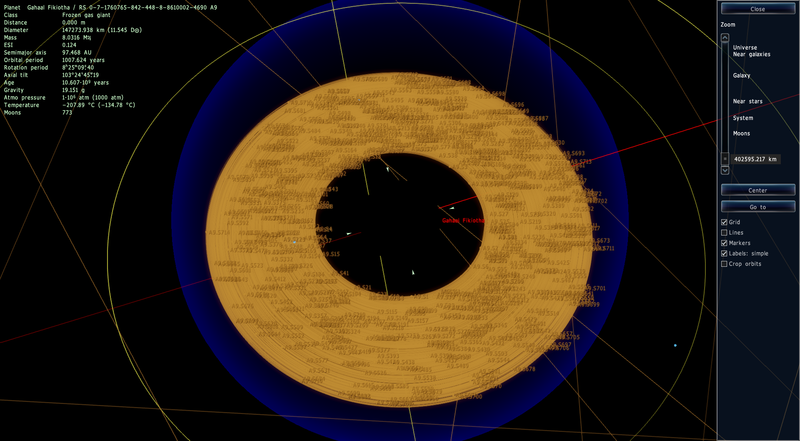 Actually I'd like to also add that debris rings can apparently also contribute. Here I have a planet that is an example of that. 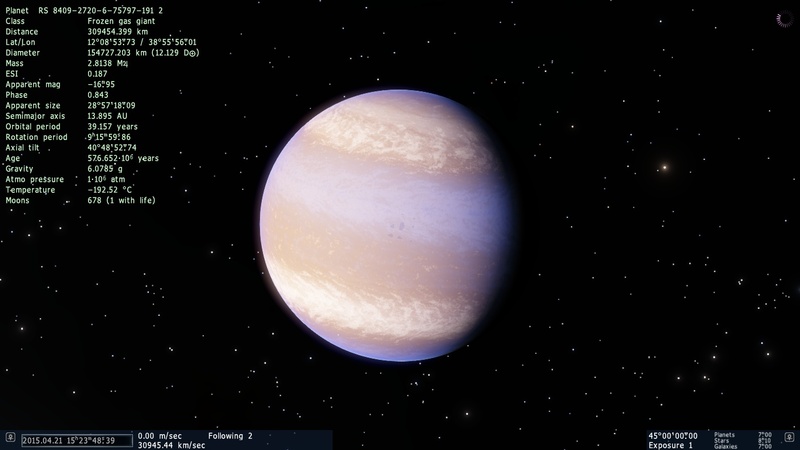 This planet has 1,019 moons.